We’ve all heard of pancakes, but sometimes it’s good to ring in the changes. 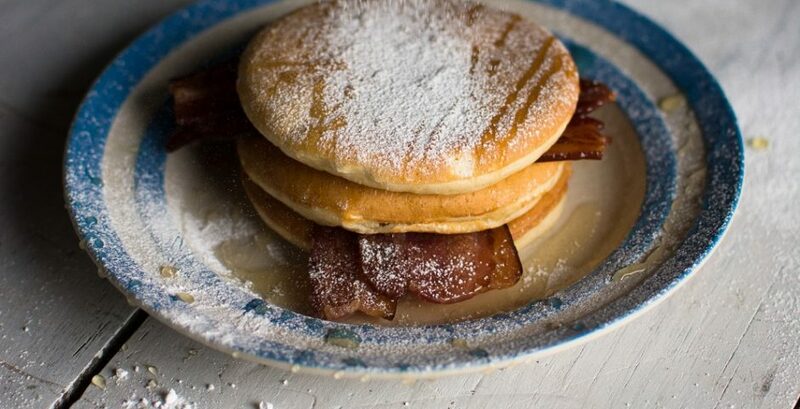 These American style pancakes are really versatile and you can eat them for breakfast, lunch and dinner, sweet or savoury, even reheat them the next day! Sift the flour into a mixing bowl, add the sugar and salt before combining the dry ingredients. Pour the milk into a measuring jug and beat in the eggs. Add the liquid to the dry ingredients and whisk until the consistency of thick double cream.